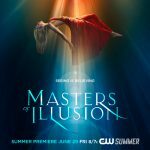 As seen on The Tonight Show (NBC), The Disney Channel, and all four seasons of Masters Of Illusion (CW), the award-winning comedy magic of Chipper Lowell provides corporate events, dinners, banquets, award ceremonies, product launches and more with hilarious comedy and magic! Local cities include Los Angeles, Orange County, and cities within the area, including: Los Angeles, Brea, Anaheim, Fullerton, Orange, Irvine, Costa Mesa, San Diego, Santa Barbara, Thousand Oaks, Agoura Hills, Alhambra, Arcadia, Artesia, Avalon, Azusa, Baldwin Park, Bell, Bell Gardens, Bellflower, Beverly Hills, Bradbury, and Burbank. We also provide shows for corporate events and after dinner entertainment in cities like Calabasas, Carson, Cerritos, Claremont, Commerce, Compton, Covina, Culver City, Diamond Bar, Downey, Duarte, El Monte, El Segundo, Gardena, Glendale, Glendora, Hawaiian Gardens, Hawthorne, Hermosa Beach, Hidden Hills, Huntington Park, City Of Industry, Inglewood, Irwindale, La Cañada Flintridge, La Habra Heights, La Mirada, La Puente, La Verne, Lakewood, Lancaster, Lawndale, Lomita, Long Beach, Los Angeles, Lynwood, Malibu, Manhattan Beach, Maywood, Monrovia, Montebello, Monterey Park, Norwalk, Palmdale, Palos Verdes Estates, Paramount, Pasadena, Pico Rivera, Pomona, Rancho Palos Verdes, Redondo Beach, Rolling Hills, Rolling Hills Estates, Rosemead, San Dimas, San Fernando, San Gabriel, San Marino, Santa Clarita, Santa Fe Springs, Santa Monica, Sierra Madre, Signal Hill, South El Monte, South Gate, South Pasadena, Temple City, Torrance, Vernon, Walnut, West Covina, West Hollywood, Westlake Village, and Whittier. For Booking Information, CLICK HERE! In Orange County and all of southern California (including San Diego), Chipper is the perfect choice for company parties and award ceremonies, as well as hilarious entertainment and shows taking place after dinner is served at a variety of banquets and social and corporate gatherings. Cities and towns include: Aliso Viejo, Anaheim, Brea, Buena Park, Costa Mesa, Cypress, Dana Point, Fountain Valley, Fullerton, Garden Grove, Huntington Beach, Irvine, La Habra, La Palma, Laguna Beach, Laguna Hills, Laguna Niguel, Lake Forest, Los Alamitos, Mission Viejo, Newport Beach, Orange, Placentia, San Clemente, San Juan Capistrano, Santa Ana, Seal Beach, Tustin, Westminster, and Yorba Linda. In addition to his many theater appearances, Chipper is asked to perform for a wide variety of corporate events year-round, including Fortune 500 companies. For the past 25 years he has brought his original brand of CLEAN COMEDY and VARIETY to literally thousands of Award Banquets, Product Roll-Outs, Sales Presentations, Corporate Retreats, National Conventions, Trade shows, and Conferences, was well as presenting top notch “After-Dinner Entertainment” with shows ranging from 15 minutes to an hour or more! Chipper can customize his performance and material to fit the evening perfectly, as your guests enjoy nonstop laughs and great interactive fun! This show is a hilarious 10-20 minute performance guaranteed to jump-start and energize your attendees. The perfect choice to liven up sales meetings, project roll-outs, motivational seminars, and more! Meetings don’t have to be boring anymore! This option is the most popular! 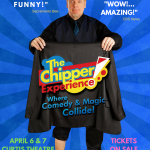 – Chipper performs a full evening show for your guests! –From 50 to 60 minutes in length (or longer! 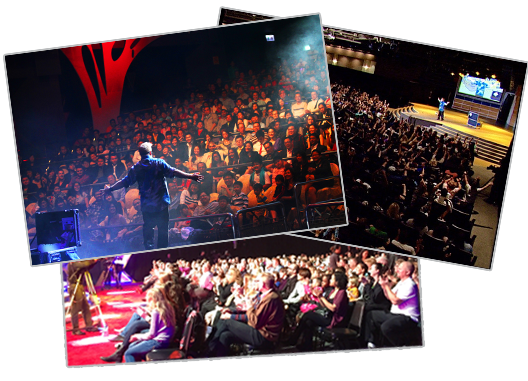 ), jam packed with original and truly funny magic, tons of ‘corporate clean comedy’, unusual juggling stunts, rapid-fire laughs, jaw-dropping mentalism, and fun-filled audience interaction. Your attendees will truly have the time of their lives! — Memorable corporate entertainment at its BEST! CUSTOMIZED SHOWS! – That’s right! 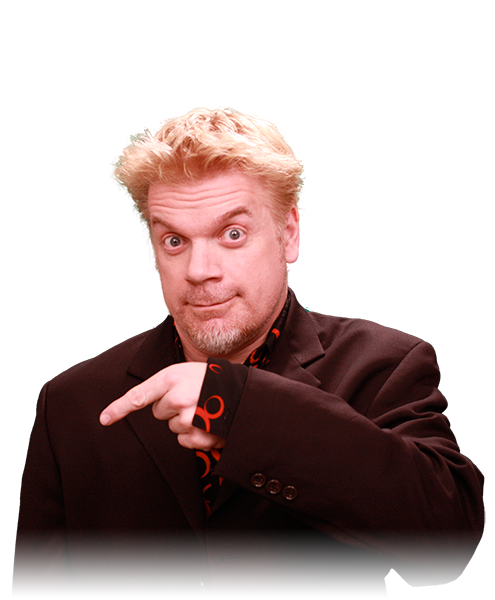 – Depending upon your needs, Chipper will create & write comedy magic routines exclusively for your particular event, and include them in his high-energy stage show. For example, at a recent Hollywood studio conference with over 500+ attendees from around the world, Chipper presented four original presentations, each with its own unusual twist! – At the end of each magic routine, the NAME of the next award recipient was revealed in a jaw-dropping and ‘magical’ manner. Needless to say, this totally surprised the audience, and each winner that night was stunned and elated to see their name integrated into a cool and hilarious magic routine, LIVE & ONSTAGE! Chipper has created ‘personalized’ and custom routines and effects for all types of corporate events and tradeshows over the past 20 years — Helping to promote and present company products, bullet points, sales, branding, awards, and more! Please contact Chipper with your needs, and he’ll do the rest! Chipper not only continues to be one of the top choices for Fortune 500 companies; they also appreciate his professionalism from the very first phone call, to the end of each special event. As a full-time expert in this unique field, his years of quality corporate experience will help make your event the very best it can be. AT&T, Pepsi, In ’N Out Burger, Nabisco, Bank of America, Cartus, Irvine Company, Flour Corporation, Disney, Forest Lawn, Ritz Carlton, Approved Freight, Mirion, Cedar Fair, Harrahs, Caesars, Moog Aircraft, Citicorp, Beefmasters, Tropicana, Resorts International, FedEx, Raytheon, Insperity, Universal Studios Home Entertainment, U.S. Synthetic, Transland, Wells Fargo, and many more! Interested in presenting Chipper at your upcoming Corporate event? Simply fill out the form below and provide us with the date of your event, number of people expected to be in attendance, and length of show you require. We will reply to you within 24 hours and present you with a quote. Please take into consideration that certain dates, especially during the holidays, tend to go very quickly! Type of Corporate Event or Special Event you are planning? Number of People Attending Your Event?